BAG1 is a multifunctional anti-apoptotic protein located on chromosome 9q12, which binds to Bcl-2. BAG1 is present as a separate module in the GHI-RS 21-gene panel. It may provide additional prognostic information as an immunohistochemical marker when added to IHC4. 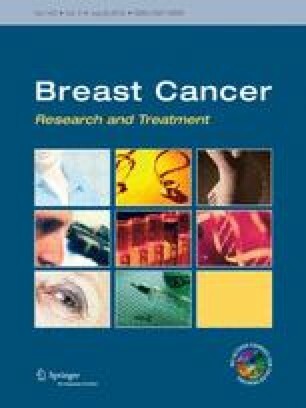 Analysis of BAG1 was performed on archival tumour blocks from patients from the anastrozole and tamoxifen arms of the ATAC trial of 5 years endocrine therapy in postmenopausal women with oestrogen receptor (ER)-positive primary breast cancer. Staining was scored separately as nuclear or cytoplasmic. Statistical analyses were performed on data from median 10-year follow-up with distant recurrence as primary endpoint. Data on both nuclear and cytoplasmic BAG1 as well as the IHC4 markers (ER, PgR, HER2 and Ki67) were available on 963 ER-positive cases of which 860 were HER2-negative. Cytoplasmic and nuclear BAG1 were highly correlated (Spearman r = 0.79, p < 00001). Women with higher BAG1 expression developed 30 % fewer distant recurrences compared to those with low expression. Nuclear BAG1 contributed significantly to the clinical and IHC4 models with added information being greater in node-positive cases. Similar results were seen if all recurrences were the endpoints. BAG1 expression provides significant prognostic information when added to the classical clinicopathological parameters and IHC4, particularly in node-positive patients. The online version of this article (doi: 10.1007/s10549-013-2628-5) contains supplementary material, which is available to authorized users. This study is supported by the Royal Marsden National Institute for Health Research Biomedical Research Centre, Cancer Research UK Programme Grant No: C569-10404, and Grants from Breakthrough Breast Cancer and AstraZeneca. The authors are grateful to Professor Michael Baum for his guidance and advice throughout the ATAC trial. JC receives trial support and sits on an advisory board for AstraZeneca. MD has received lecture fees and research grants from AstraZeneca in the last 2 years. All remaining authors have declared no conflict of interest.